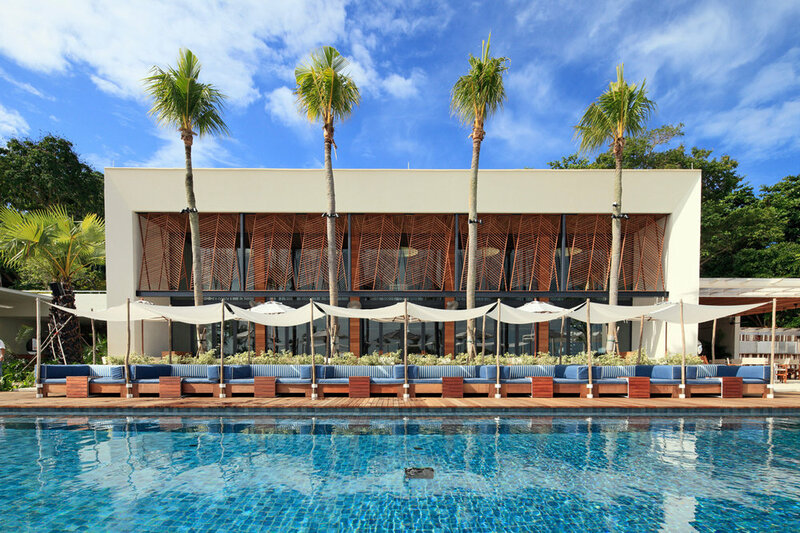 An air-conditioned area with sensational views of the pool and beach, with an adjourning alfresco Dining Terrace in front of the restaurant. Designed using customised hand-made tiles and volakas marble, the 11-metre bar is one of the key focal points of the venue that offers picturesque views. A semi-exclusive poolside patio with views to the beach. An intimate private dining area with its own private bar space offers stunning vistas across the beach and to the southern islands and stunning vistas. 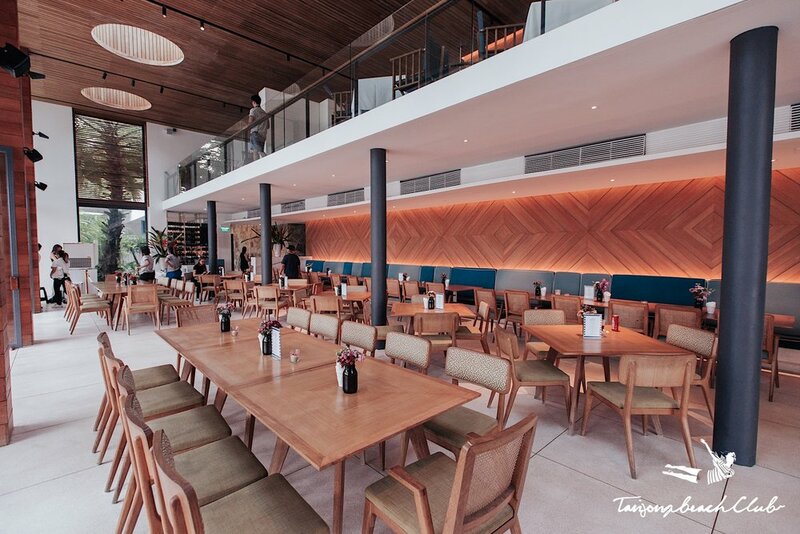 The Mezzanine comes with a private bar counter and overlooks the restaurant dining area and Tanjong Beach. One step away from the sand and metres from the beach, an ideal spot for all gatherings with fantastic views of the Tanjong Beach sunsets. The perfect space for celebratory drinks or small soirees, with seating options comprising of outdoor lounge sofas and lounge chairs. An exclusive area with eight daybeds, located directly in front of the swimming pool, offering exquisite views across the pool and out to sea. A flexible space to cater for both intimate groups and large parties, with daybeds, deck chairs and sun loungers.